Dunder Casino will be revising their welcome bonus starting April 9th, 2019. At Feedback Casino, we like to keep our readers informed about the latest news in the online gambling industry. For example, last week we told you about Gameart's prize pool tournament to celebrate their newest game. Today, we wanted to let you know that Dunder Casino is revising their welcome offer in the United Kingdom and select, eligible countries. So what's the new welcome offer? The new welcome offer presents new players who sign up at the casino with 20 bonus spins on the popular slot Book of Dead. On their first deposit, the player can then collect a 100% bonus of up to £/€100 + 100 bonus spins, split evenly over two days, on Book of Dead slot. This new welcome bonus supersedes the old one starting 00:00 GMT April 9th, 2019. As with all bonuses, this new one comes with terms and conditions attached, which you'll want to have a read through before deciding to opt in. Firstly, players using Neteller, Skrill or any other e-wallet are unfortunately excluded from this offer. Also, there is a minimum wagering requirement of 30x the deposit + the bonus (60x the bonus in UK terms), before you can withdraw any cash winnings. Additionally, the maximum bet that you can make with the bonus is €/£5 per round. Failure to use the bonus within 21 days of registration will render it void. Finally, players from the following countries are excluded from the offer: Canada, New Zealand, Germany, Norway, Finland, Sweden, and/or any other restricted countries listed in the T&C. Eligible players from the UK and elsewhere can collect 20 bonus spins on Book of Dead, upon signup, and a 100% bonus of up to £/€100 + 100 bonus spins on Book of Dead with their first deposit. Dunder Casino was setup in 2016 and offers over 1,000 games from the most recognized software developers including Microgaming, Netent, Yggdrasil and Quickspin – and this is just for starters! They are licensed in Malta, Sweden and the UK for player peace of mind and generally enjoy positive reviews from players. 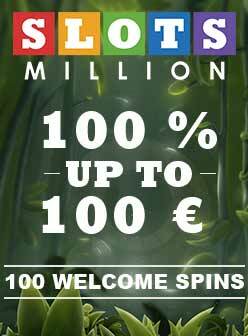 With this new welcome offer, Dunder Casino is giving you one more reason to try them out!